In an unique attempt to appreciate women coming out to cast their vote, the Election Commission of India (ECI) has asked its officials deployed at polling booths here to give a red rose to all the female voters. 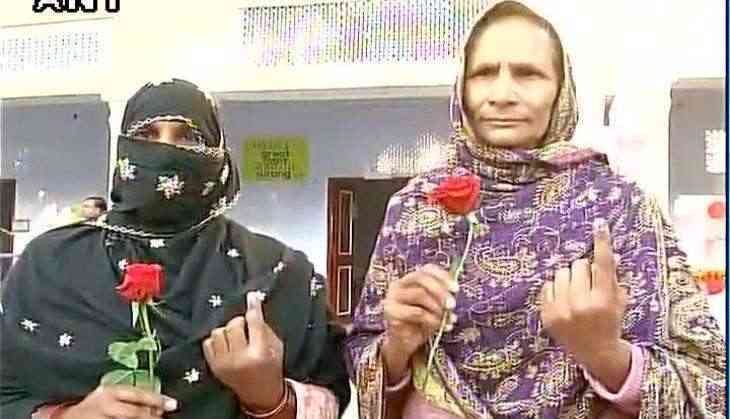 "This is for the first time that we have got a rose," said one of the women voters. As the first phase of begins, it will see 1,17,65,768 casting their vote across the state.